Early in their life cycles, jellyfish develop from larvae into polyps—immobile, stalk-like structures rooted into the sediment. Anemones and coral live out their lives in this state, which earned them the name anthozoa or "flower animals" in Greek. 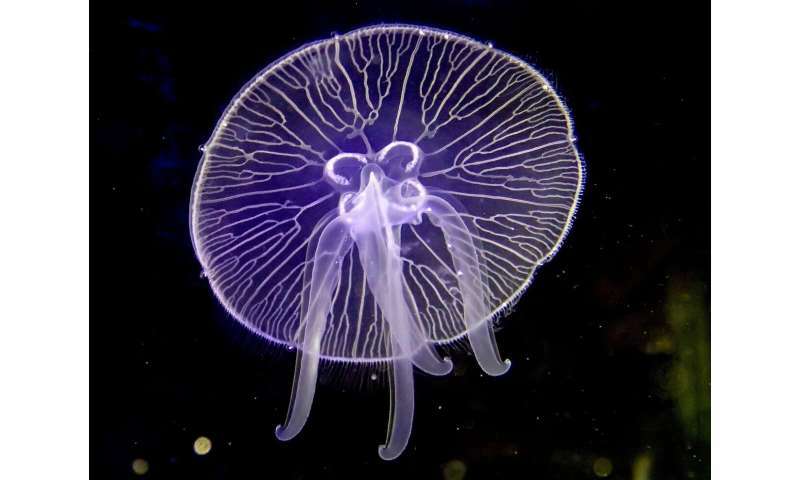 Jellyfish set themselves apart from anthozoans by being able to develop from the polyp stage to the medusa stage, blossoming into the luminous, bell-like creatures we know and love. 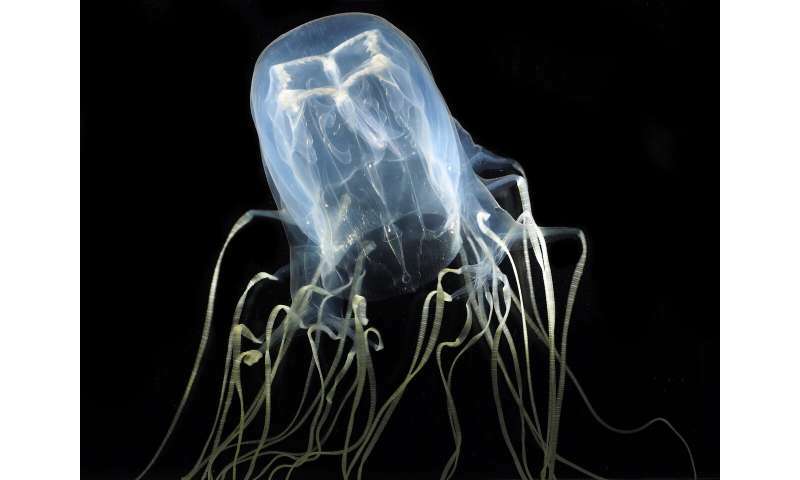 To solve this mystery, the researchers assessed which genes were active in the polyp and medusa stages of both jellyfish. 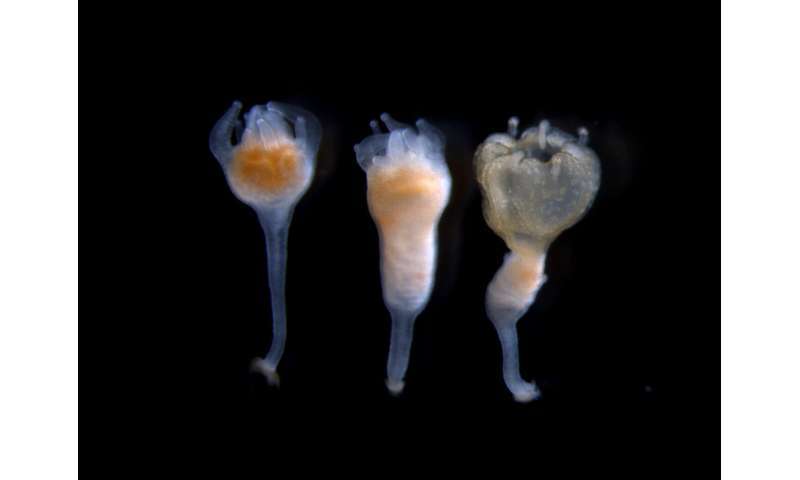 They compared these distinct patterns of gene expression to those observed in 11 different cnidarian species—the taxonomic group that encompasses medusozoans and anthozoans. Remarkably, they found that coral and anemones contain about two-thirds of the genes active in the moon jellyfish's medusa stage. FWIW, distantly related ctenophores have also been claimed to have undergone massive reorganizations in order to be free living.